ASTA Aviation Staffing are actively seeking Non-experienced cabin crew /Experienced cabin crew on behalf of Primera Air. Current base available – Stansted (United Kingdom). Primera Air is looking for team members who can identify themselves with their values: Care, Integrity, Dynamic, Reliability and Fun. Primera Air is strive to ensure that their customers enjoy a safe flight with high standards of customer service and is looking for exceptional people to offer this service. If you are friendly, confident, have a passion for excellent customer service delivery and passionate about people and flying, please apply today. Only applicants meeting the requirements listed below will be considered. The company will confirm interviews/ open days via email. Attend a How to be cabin Crew course and get prepared for your cabin crew career. We offer an intensive interview preparation course that will help you pass the interview with ANY airline company and get your dream job. More details about our upcoming courses here. Her green-blue eyes are the first thing that makes you watch her closely. Warm smile, soft look and she knows how to make herself liked from the first interaction. 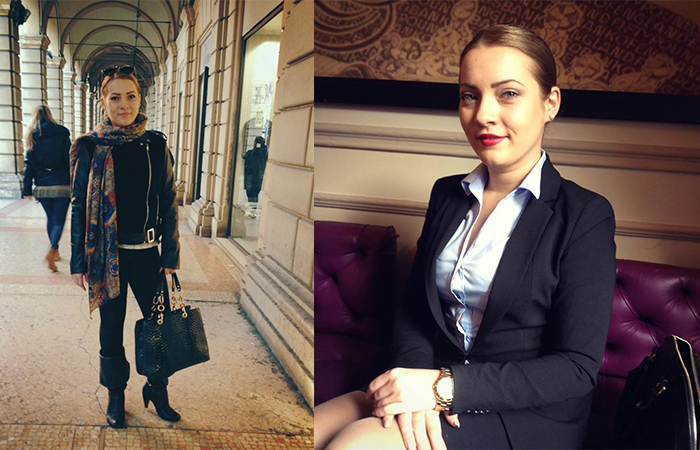 She is Adina, our student who shortly will start working as Cabin Crew for Primera Air. She came to know us last year in October at our meeting with How to be Cabin Crew readers, and after that event she hadn’t stopped working till she made her dream come true. She followed 2 courses with our team and in a few months her dream was real: she received the long waiting GOLDEN EMAIL. For her age, Adina is an example of ambition and desire to overcome her limits. She has 21 years and customer service experience as far to another 5 years, this bringing her the winning ticket before Primera Air recruiters who saw in her the right candidate for the Cabin Crew position at their Scandinavian company. When did you thought you could pursue a career as a flight attendant and what was hidden behind such a decision? When I started thinking about a career as Cabin Crew I was a teenager, somewhere in high school, in a small town from the beautiful area of Toscana, Italy. There I lived approximately 7 years, there I formed myself, and I finished high school. I came back to Bucharest to continue my studies at Foreign Languages Faculty. I already abandoned the idea of working among the clouds till the second year of faculty when a good friend of mine and colleague told me that her dream after she finishes her studies is to become a Flight Attendant. That was the moment when I dreamed again about traveling the world and to accompany world travelers to their dream destinations. What is your present job? Do you think your experience helped you in any way at the interview? At the moment I don’t have a job, but I started working from 16 years old because I always liked being around people and being useful. I started as a Customer Services for an Italian company, and then I worked as a Waitress and Bartender in a restaurant-bar. In the end, here in Bucharest I had the opportunity to work as a Receptionist at a hotel. I think these jobs helped me so much to form myself as a person and in the same time were a plus at the interview, as well as my knowledge of foreign languages. How did you prepare for the interview with airline companies? How many interviews did you attend before succeeding? When I am interested in something I start a little research. The internet was my big source of information, I read all sorts of articles, I entered on many forums, I consulted different websites, among which was your website, “How to be Cabin Crew”. I started taking notes, details about each company and also started to study a little bit the aviation vocabulary. I decided to follow your courses, experience which brought me a lot of courage, and more ambition to make my dreams come true. Excellent trainers and a very relaxing atmosphere at your venue made all the information necessary for the interview and about this job to be assimilated very easily and with a pleasure rarely encountered. How did you manage to stay positive in the moment when you were eliminated from an interview? It is true I participated to multiple interviews for different airline companies. In most cases I didn’t managed to pass the CV Drop, which disappointed me a little. I didn’t understand what was wrong, what was missing, why (even if everyone saw in me the stewardess girl in the movies) I didn’t succeeded to pass the final interview. After a few attempts, I stopped asking myself questions, I was more relaxed, I tried not to show the recruiters the perfection in me and I went to the interview more relaxed, exactly as I am. I imagined meeting the recruiters like I was meeting my best friends at a coffee shop where we talk and make plans for the future. I think I succeeded to bring that good feeling and optimism and that was what led to my success. I encourage everyone to not give up after a few attempts. I am sure that each one of us has a place in the clouds that is waiting to be filled. What do you think it is the biggest challenge for a flight attendant? The biggest challenge for Cabin Crew? Well…I think here the answer is more individual. For some missing home and the loved ones is the biggest challenge, for others the fact that they can not communicate in their mother tongue at their work place, having a different lifestyle, to confront with different and difficult situation and persons along the flight. Tell me what are the most 3 important qualities that a future candidate should possess at an interview? After I participated to so many and diverse interviews I made myself aware that it wasn’t my fault. I started to think that at the interview day it must be “love at first sight” between the recruiter and candidate. This idea helped me stay in track when I was eliminated from another interview and to attend more interviews ready to win the recruiters. It is very well known that the preparation before the interview is fundamental. Information is the key. Confidence in yourself and perseverance are, as well, an important factor. And smile, lots of natural big smile, that bring with it warmth, love, optimism. Do you want to transmit a message for How to be Cabin Crew team? Prepare yourself for the upcoming interviews with the big airline companies. Come at our How to be Cabin Crew courses and make a step forward towards your dream. Details and registration here.